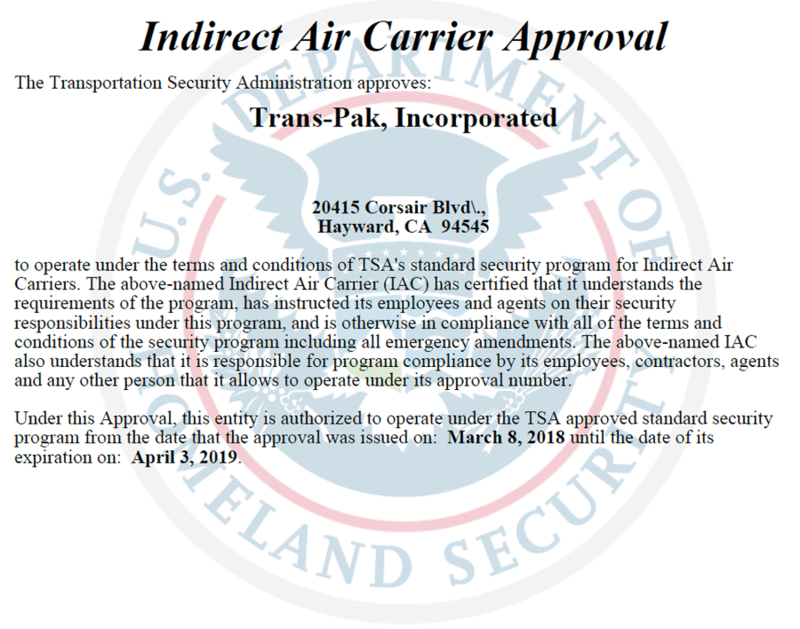 Not only is TransPak your licensed and bonded domestic, international, and customs broker, but we are also certified and trained to tender your shipments directly to the plane. This helps avoid delays and damage from unknown screening practices, and it saves you valuable time. 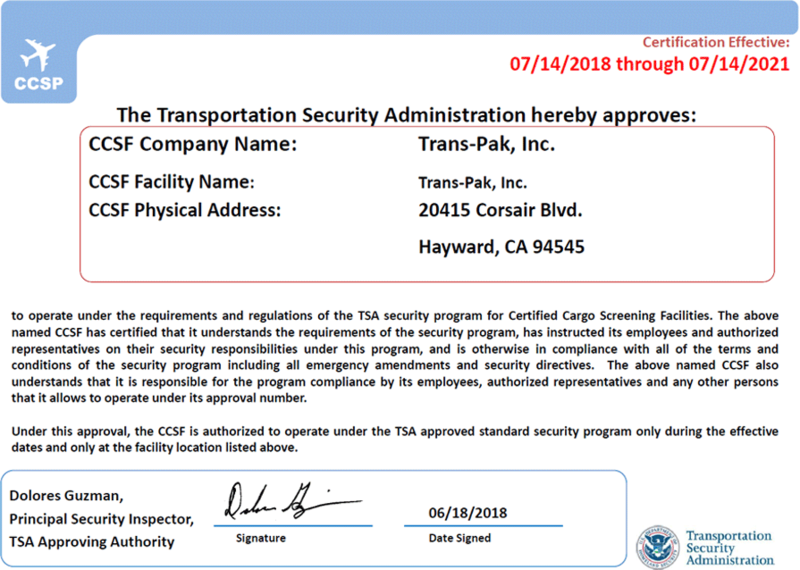 In accordance with TSA Guidelines, and as mandated through recommendations of the 9/11 Commission Act, TransPak is a Certified Cargo Screening Facility. Additionally, we are in partnership with the TSA as a test center for new screening equipment. TSA created the Certified Cargo Screening Program to provide a level of air security equivalent to that of passenger baggage. The goal is to keep 100% screening of freight without impeding the flow of commerce. Mitigate the burden on airlines to screen 100% of cargo by delivering screened cargo that can be directly tendered to aircraft. Screen individual cargo and build bulk configurations as appropriate. Allow screening of cargo early in the air cargo supply chain by a trusted, vetted, and assessed TransPak facility. Initiate and maintain the in-house packaging integrity of a shipment throughout the supply chain by using a stringent chain of custody methods. Enable you to incorporate physical screening into the packing process. Our high-end technology facilitates the cargo screening process from beginning to end, and increases your supply chain efficiency and security. Maintain the integrity and security of your packaging and product with Transpak. We're here for you.